We take this stroller everywhere and it's very well-made. My child loves to sit and sleep on this. Way more comfortable compared to other strollers. Highly recommended. ProsEasy to fold and unfold. Very comfortable. This product with good quality at an affordable price. Must Buy! I liked this stroller. My daughter was able to nap in it which was great!! My husband and I did lots of research before changing a new stroller for our son. We have to say that this is the most wise investment we've ever did!! Great stroller for a newborn! 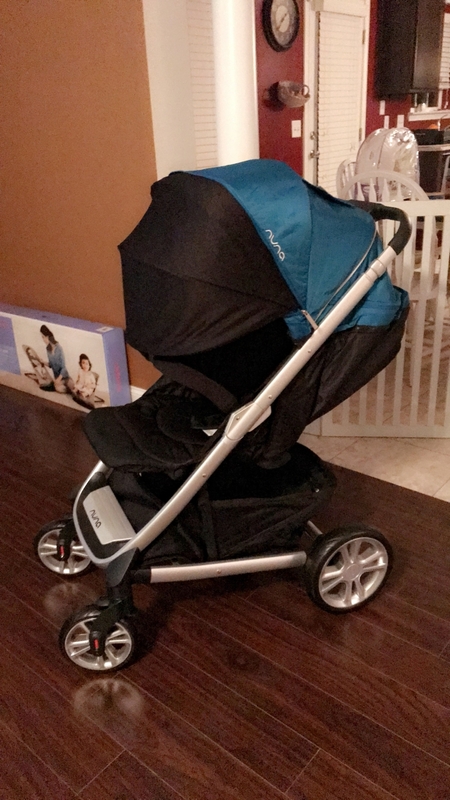 We purchased this stroller to use for one of my twin girls while the other is being carried in a baby carrier or left with another person at home. I like that is possible to use the stroller as a bassinet in the fully reclined position and so is suitably from birth. I can drive it by one finger. 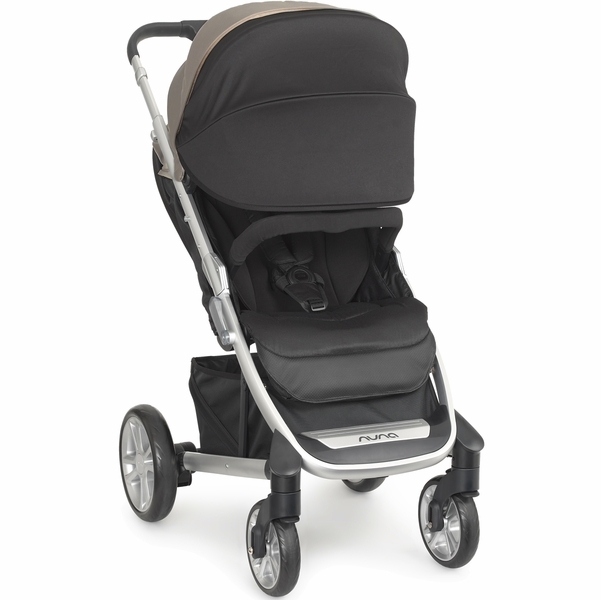 100% recommendations for this price..
Love everything about this stroller. I have uppababy vista stroller also, but nuna is the best. We love this stroller. It is easy to operate and store. It has a good amount of shade to protect the little one from too much light during his nap when Mommy is on the run. We are very glad with this purchase. Thanks to albebaby for fast order processing and delivery!! My friend recommanded me to buy this stroller. I found itâ€™s the best stroller. Itâ€™s light, easy to fold and friendly to kids and parents. I love it. I ordered this stroller for my son who was born in March and have been using it for several months now and couldnâ€™t be any happier with this purchase. It was very easy for me to assemble and only took about 15 minutes. It closes and opens with the use of just one hand which makes it convenient when your hands are full. 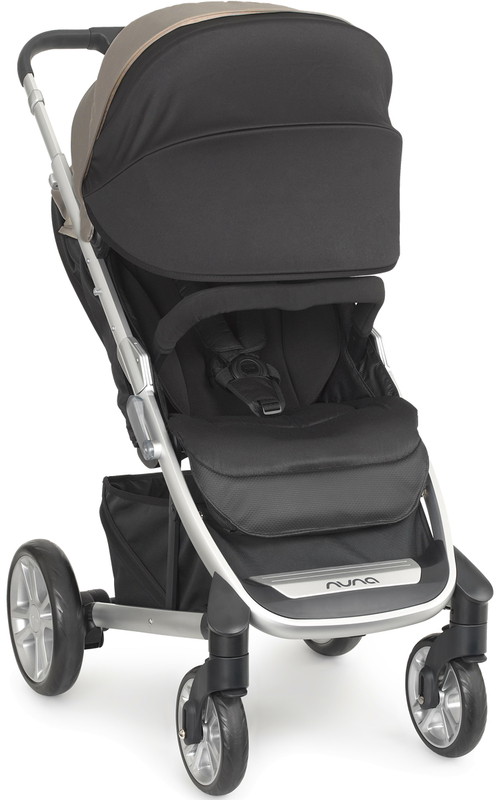 Itâ€™s easy to click the nuna car seat in and out which is also very helpful when you have your hands full or are in a rush because your other kiddos arenâ€™t patient. 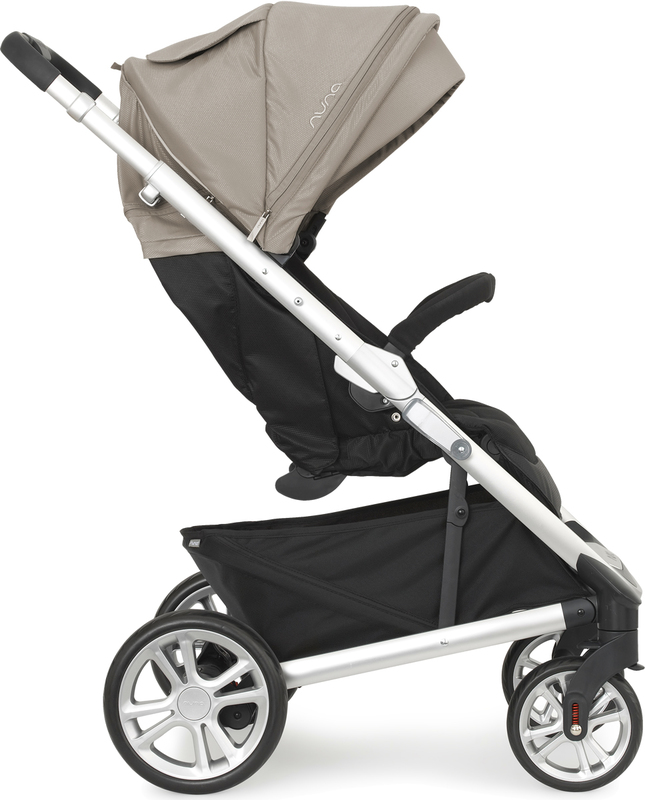 The stroller moves with ease over any terrain, grass playground wood chips & small rocks. The basket underneath holds a lot and itâ€™s easy to get things in and out of. Like I said before, this has been a great purchase. Just received ours for our second child and Iâ€™m already in love with it. 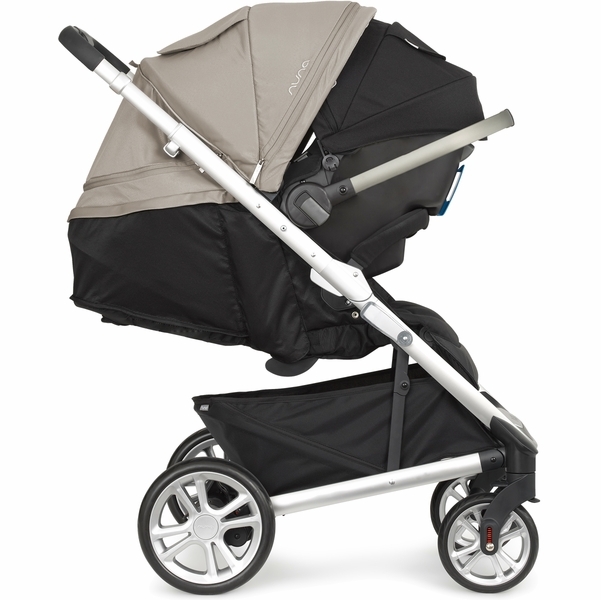 So many functions all in one stroller without having to add a bunch of attachments. The full recline with flip up bottom makes a perfect bassinet instead instead of having to buy an expensive add-on that wonâ€™t get any use after 6 mos. It handles like a dream, even on test rides with our 6 year old riding in the seat. Iâ€™m so impressed with it and excited to use it daily. Shipping was fast and exactly as described. Highly recommend! The stroller looks beautiful, sturdy and very pro looking. I am looking forward to use it for my coming baby. I did try to assemble and use it, it perfects. i've been using this product little over 1 yr now and so far my 13months daughter loves it. i gave 4 stars because it's heavy to lift into my car by myself. This stroller has met and exceeded my expectations. 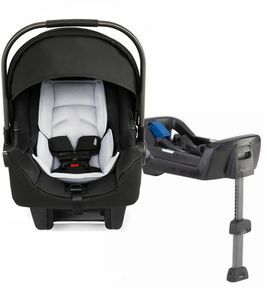 It works so well with the infant car seat and is easy to use and move. I'm so glad I went with this stroller brand! I'm so happy with this stroller. It's easy to fold and unfold. The dream drape gives amazing shade coverage from the sun. The seat is comfortable for my child. 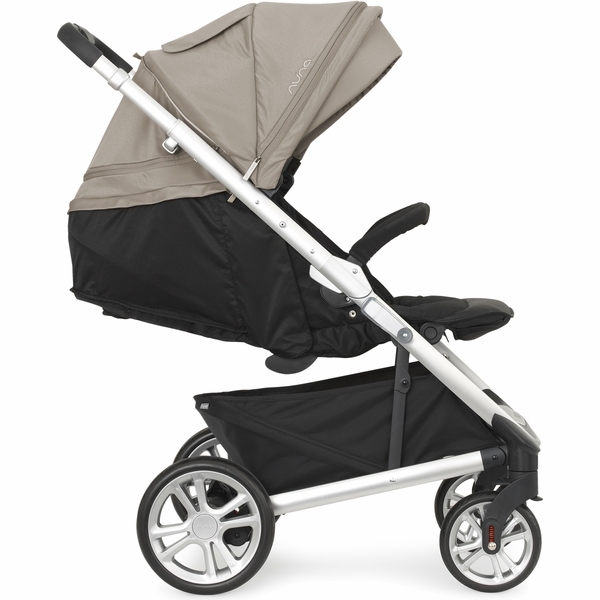 The wheels and suspension make this stroller great for indoor and outdoor. It manages the terrain at our local park with ease. The basket is big - it fits my fully packed Ju-Ju-Be BRB back pack. The blue color is beautiful. If I had to complain I would say that the stroller is on the heavy side and that the fold isn't very compact. love this stroller. not too heavy, and easy to set up. Good investment. All the features are so useful and it is a comfy experience for the baby. This is a total worth of money ! It is very easy to assemble and use. I do lots of research and finally choose this one which is not disappointed me. I love it. This was our 5th stroller and love love love it!! Super easy to fold up. Light weight to pick up and put in SUV. The extended leg is our favorite part our daughter loves she can stretch out and not have her legs dangling down! Great for function and price! My husband and I got this to have as our second stroller since we have the nuna pippa and mixx as our primary. I have to say I was blown away by how nice this stroller was for the price point, comparatively to other strollers in the 350 (we got it on sale for 250) range it is easier to use, sturdier and steers better.On top of all that the easy of connecting the pippa is unreal, it's even easier than mixx to connect doesn't require any additional parts. We love it! I really I wish I had bought this stroller sooner instead of wasting money on some other cheaper ones. This stroller looks nice, very easy to push even when my 3.5 year old sits in it, plus it lays almost flat, again my 3.5 years old can nap in it comfortably. Big big big canopy with mesh fabric for better air flow. Easy gold and unfold. Big basket. Kind of lightweight. Overall I really like it so do my kids. Baby #1 is due in 2 months, and I can't wait to take him all over in this sweet stroller. My husband has been laughing at me because I walk around the house with it to test it out every now and again... Judge all you want, but I'll be using this daily so I want to be familiar with all of it's awesome features! At $100 off too, the price was well worth the quality. I just love this stroller. It's easy to close and open just the push of a button. The car seat attaches to it so I never have to take my grandson out of his seat. The wheels are great and maneuvers about wonderfully. I would 100% recommend this stroller to everyone. 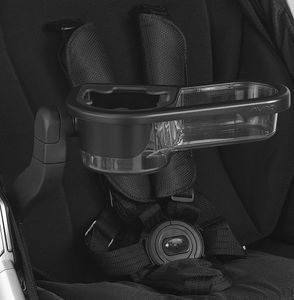 ProsThe infant car seat attaches to it without needed other pieces. It it just the easiest to maneuver around. My grandson will grow into it and I won't need to purchase another one. ConsIt is a little on the big side especially when trying to place in back of SUV. I have to place it in the side b/c it won't fit lying flat. Best UsesYour child can grow with it. My daughter is obsessed with the stroller. Shes almost 2 and keeps asking to sit in it. Its super easy to fold down and open up and super smooth. We love it! Still trying to figure out what all this stroller can do, but baby loves it. Likes to hold on to the little bar and sometimes put his feet up there too! Awesome sun shade and plenty of air flow. Rides smoothly. Very pleased. All Nuna products are top notch! Love this stroller. I spent a lot of time researching strollers and ended up choosing this one. I am so glad that I did. The quality is great and I love the simplicity in how the Pippa carseat works with it. Can't wait to use it when our baby girl gets here! Loved it & great price! We loved our Nuna Tavo! 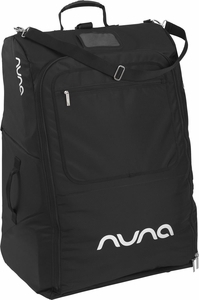 It has such smooth ride, very light and opens and closes easily. 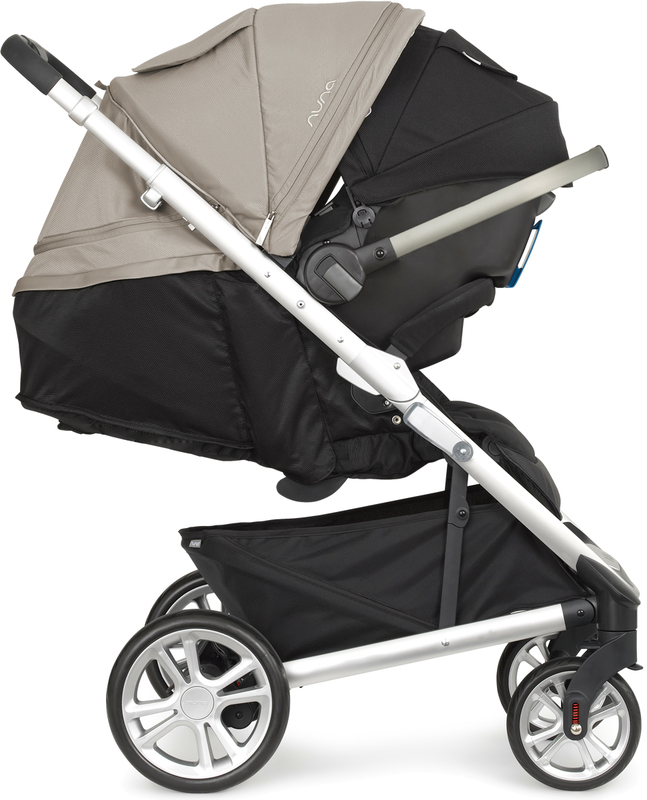 The price is affordable for the type of stroller and all the features it has. Its pretty AWESOME! ProsIt has some awesome features such as the extended shade and opens for extra air ventilation on hot days while baby sleeps or just enjoying a stroll in laid back position. ConsThe only thing is that it has no cup holder option for mom or dad and the basket is a little small. Its not too heavy, reclines in a flat position; great sun coverage, and storage space. Very happy with my purchase. I'm not a stroller person. I love my wraps and carriers. This stroller is very easy to assemble and sturdy with out being miserably heavy. The one handed fold take a minute or two to master. I didn't think that they were game changers but the hidden pocket (for wallets and keys) in the basket, the way the sides zip up to create a near bassinet and the dream drape are incredibly handy! I highly recommend as this stroller is useful for grocery trips, travel, long days away from home and simple enough for friends and family to use. Best UsesFor those who donâ€™t want eight different strollers. I absolute love this stroller! 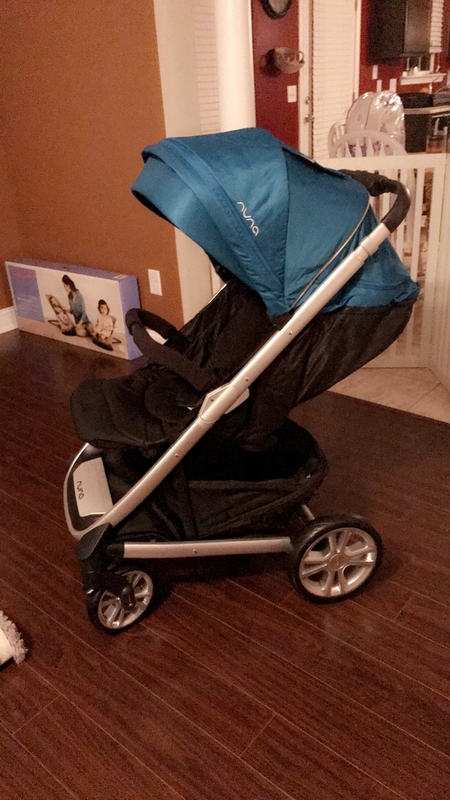 I was a bit unsure on ordering it at first since I wasnt able to view it in person at any retailer in my city but decided to grab it anyways it was awesome n sale at an awesome price and the online reviews for the stroller helped me make up my mind on purchasing. I am so glad I did its very easy to use opening and closing is a one handed breeze! I can easily carry my little one in one arm and open the stroller up. Great storage space and very easy to push around. The blue color is absolutely beautiful its the perfect shade. The extra coverage pull out shade for Baby is the best I have seen on the market and we definetly get use out of it here in Las Vegas. Only downfall of this stroller was it did not include a cup holder I instead purchased a add on mommy storage bag works just great! 100% recommend this stroller! I debated Nuna Tavo and Mixx 2 for a long time. Finally I visited Nordstrom and checked both strollers. Surprisingly, Nuna Tavo was much nicer than what I expected. Big size wheels (almost as big as Mixx 2's) are my favorite part for living in a city. 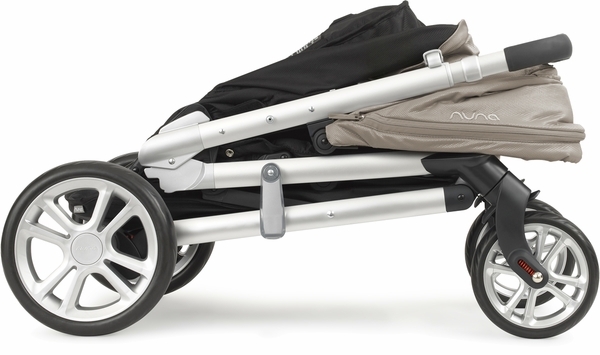 I really wanted have a reversible seat stroller, but when I saw this Tavo, I changed my mind. This sturdy well made stroller with this amazing price, should I get the Mixx 2 paying more than twice of price just for reversible seat? I will connect a Pipa carseat to this stroller anyway, I could face my baby until he is outgrowing and wants to explore the world. I am super happy with this stroller and can't wait to meet my baby soon!! 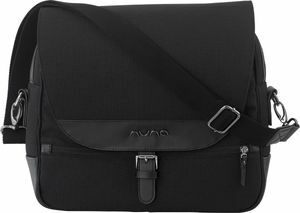 I first purchased the Nuna PEPP from another site and it took forever, once I received it I knew I should've stayed with my first choice the tavo since this is my first child. I seen the stroller on sale on Albeebaby and I am so happy I was able to get it at a great price. I love everything about it and never considered the blue color, but its a nice pop. Great stroller, good price. 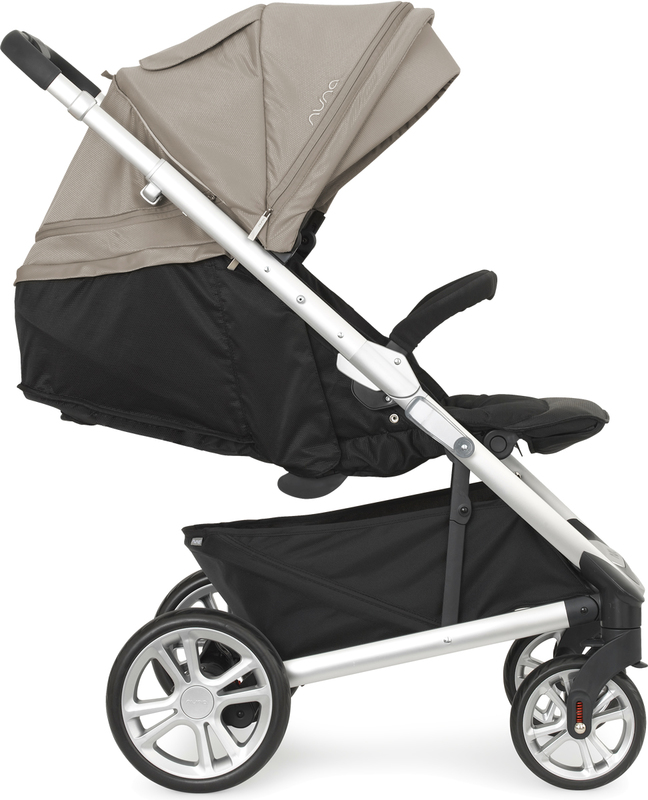 This stroller is easy to maneuver and and is good looking as well. I am very pleased with this purchase. I love this stroller. My favorite features are the easy fold, and that you can drag it behind you like a suitcase when folded. My nine year old daughter helped me put this together in just a few minutes. She then put a teddy bear in it and explored the house. It maneuvers very well and all the adjustments are easy to make. 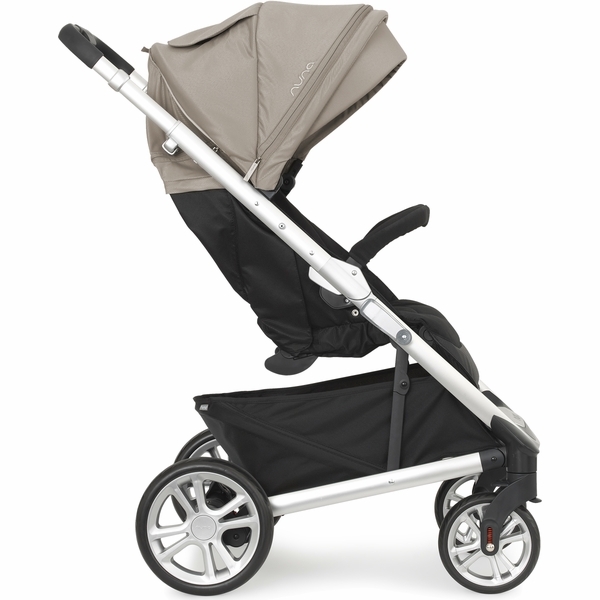 This stroller is awesome with a lot of great features and a smooth ride. Obviously not meant for the beach, but is great for everyday. My 3 month old son hates his car seat, so I love that he can lay flat to take a nap and I don't have to haul around a separate bassinet. He napped in it for a couple of hours one afternoon. I've also put my 4 year old (44 lb) son in it and it was still easy to maneuver and a smooth ride. He also wasnt cramped at all. I was so excited when we received the stroller. It arrived quickly and it was easy to put together. My husband and I played with all the different features and pushed it around the house. Its easy to use, navigate and we love it. Can't wait to use it. We are due in three months. My stroller arrived and looks great! I love the blue color. It is easy to set up and collapse. Assembly was super easy-everything just clicks together. And once assembled, It really is just one-hand collapse & one-hand reopen. Fits in the small trunk of my car. 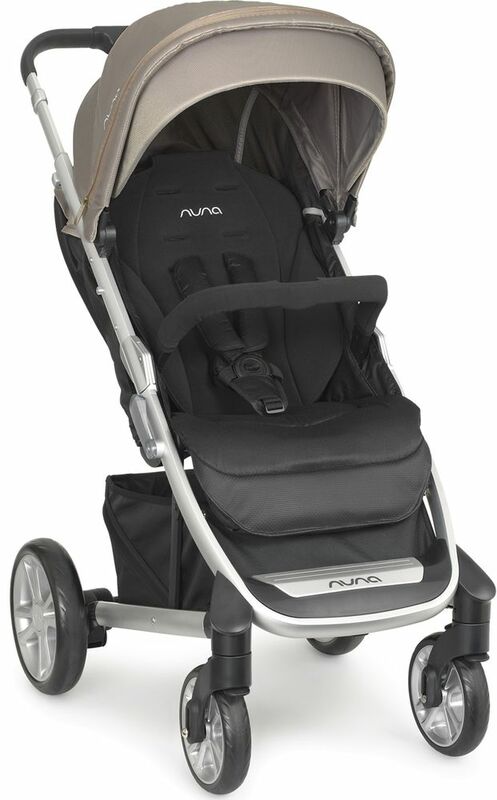 Baby hasn't arrived so I have yet to take it outside.... One slight disappointment is it's a little bulky with the Nuna Pipa car seat attached (also just a click to attach). But I can deal with it for all the other reasons this stroller is so great. Including the price! $100 off on sale and shipped free with no tax! I love this stroller. 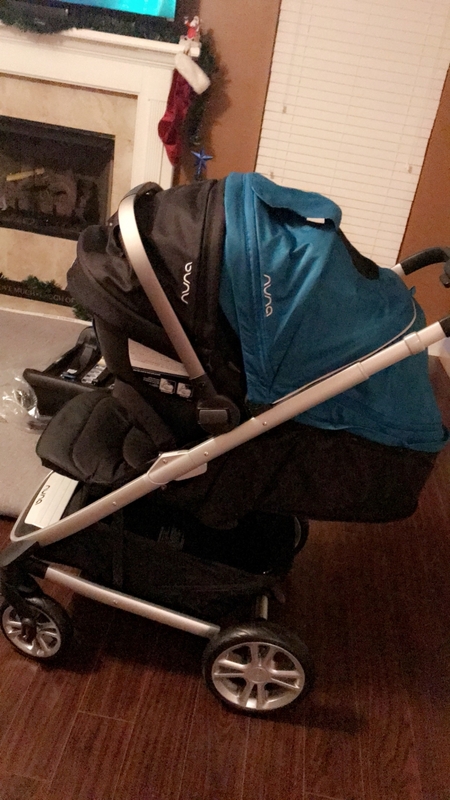 It looks great, has a smooth ride, has a good turning radius, works for just about anything except running, and works so easily with the Pipa carseat! I just wish Nuna would make a cupholder for this thing! Prosattractive, easy to maneuver, easy to fold and unfold. Consbasket could be a smidge larger, no accessories. Easy to use and was the perfect purchase to go with my Nuna Pipa! Like all Nuna products, this one is exceptional quality. Rides and turns smooth, and looks great! 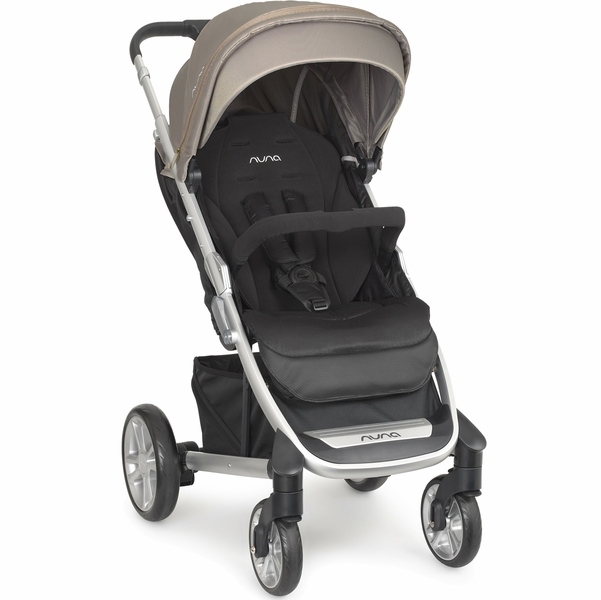 Attach a Nuna Pipa infant car seat with just one click - no adapters needed! Includes a removable infant insert to keep the littlest ones snug ande secure. Growth spurt alert? TAVO has it covered. Designed to provide tons of room for both the little ones (from both head-to-toe and side-to-side!) and you (the basket is spacious enough for your and their swag combined). All while cleverly connecting to our oh-so-secure Nuna PIPA infant car seat with one-click — no adapters needed. Yep, it truly is a one-click traveling wonder. From day one on, the TAVO is a flattering fit for both your lifestyle — and them.